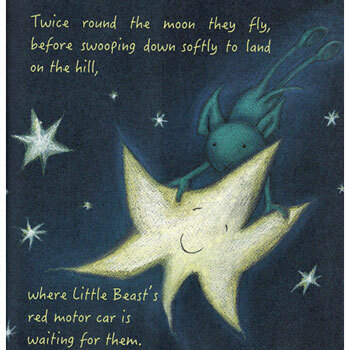 Little Beast is restless and just can't sleep, so he goes to gaze up at the stars and then something rather remarkable happens. 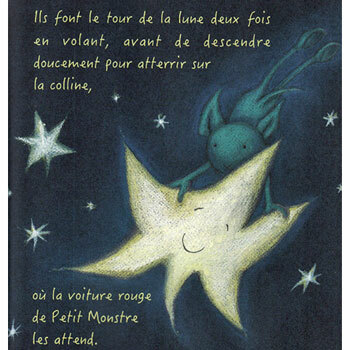 He makes friends with a star and they spend the evening having the most wonderful fun together. But the star is sad; playing on Earth is fun but he belongs in the sky. This is a lovely story about friendship. Petit Monstre / Little Beast is a bilingual French and English story book, with the full text in both languages. 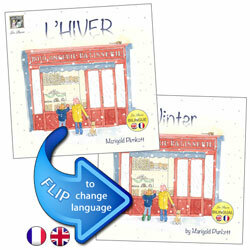 It would be equally suitable for young English children to learn French, or for young French children to learn English. 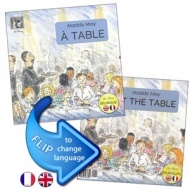 As with all Les Puces books, open it one way and it's French - then FLIP IT OVER and open it the other way and it's in English. 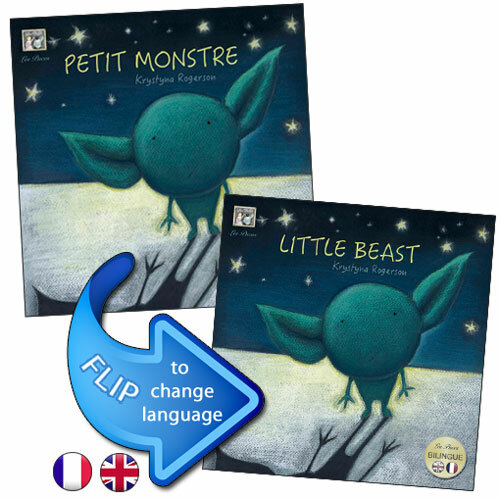 This unique format keeps the two languages separate.